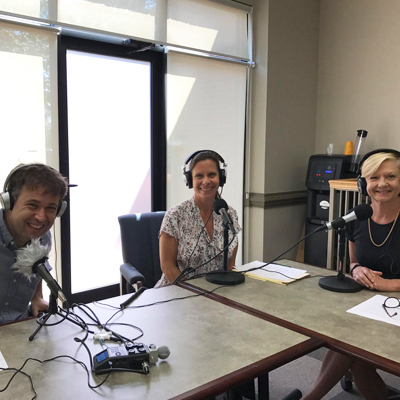 The Wake Forest Area Chamber of Commerce has a new podcast featuring business owners discussing the roads they've traveled to get to where they are - successes, obstacles, and lessons learned along the way. We enjoyed sharing our story with Chamber president, Ann Welton. Listen in as Dawn Daria and Paul Miller with Flow Circus describe how they took Paul's skills as a juggler and performance artist and created a company that shows business leaders how they can succeed by occasionally dropping the ball. 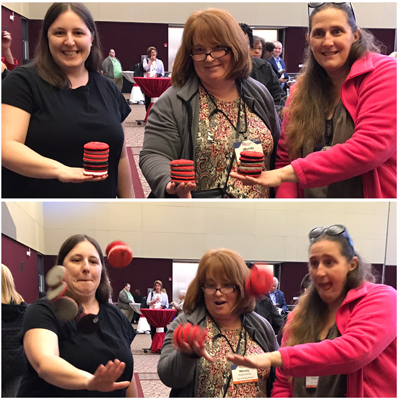 With an emphasis on play, participants learn how to connect and grow within their teams and organizations. Search for Open for Business in your podcast app, or click on Open for Business. Find out where the name "Flow Circus" comes from, how we got into juggling in the first place, and what advice we would offer to people starting their own business. 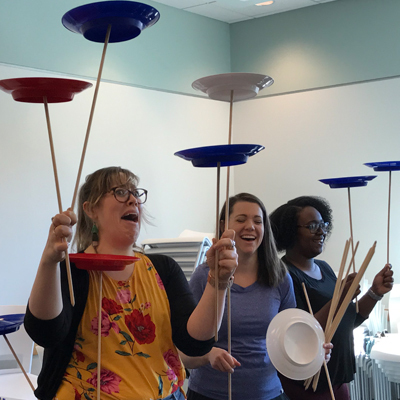 As we listened to the podcast, we decided to practice the same lessons that recommend to beginning jugglers: "observe, don't judge" and listen for things we want to do differently next time. It's the second time we've been guests on a podcast and it's so easy to find flaws in oneself. But to dwell on that can create a lot of stress and may lead to avoiding opportunities in the future. Overall, we're happy with our performance, but we both have ideas for skills that we want to work on in the future. If you have a podcast and we'd be a good fit, let us know. We're always looking for opportunities to practice.